What do I have to giveaway this time? Well, how about this!! I could of just stopped right there, but did I?? Of course not!! 2. Spread the word about my giveaway. Leave a link to my giveaway on your blog. No blog, let me know how you will spread the word! This is open worldwide and will stay open until January 1st, 2012! I will announce my winner a day or two after that!! Good luck everyone and Have a wonderful Holiday and may this coming year bring you all lots of happiness, great health and peace and love! MELISSA! YOU HAVE OUT DONE YOURSELF! Wow!!!!!! That is such a generous giveaway for anyone to win. Thank you for the chance to win it. Have a Merry Christmas!!! Posted on my sidebar as well. Thank you!!! That is a great way to celebrate! I follow your blog already because your work is fabulous! Yay! My blog is not worthy of a post (no one really follows it and I rarely post), so I'll post a link on my FB page! AND, I follow you via Google Reader, so I don't miss anything! WOW!!! This is an amazing gift to make someone's Christmas special. Placed the info on the side panel. Well I'm already a Follower here. And i don't have much followers there, so I'LL BE POSTING ABOUT IT ON MY FACEBOOK PAGE. i've posted about the giveaway on the sidebar of my blog. Wow what a wonderful gift, very generous. I do not have a blog to post your giveaway on,I will post it on my facebook. wow! this is a very generous gifts! i am already a follower of your blog and my fingers are crossed!! I am allready a follower. Wow, what a generous Christmas giveaway. I am already a follower. I have been a follower for quite some good time, and I have put a pic of your banner (actually, didn't know which pic to choose..) in my sidebar, and I do come by quite often to admire your fabulous creations, so THANKS for offering this huge giveaway. A second post for a second chance ? Thanks for the chance to win this. I have put a link in my sidebar and already follow your blog. Posted on my blog. Here is what I wrote. Melissa, over at Creating from the Heart has her End of Year/ Christmas giveaway going on right now. So hop on over to her blog, HERE, and see what she is offering. I am not going to tell you, because I want you to go visit her blog. Talk about INSPIRATION, Melissa, can inspire anyone with a variety of styles. So, what are you waiting for???? go check her blog out. Have a great day. I hope this gets their attention and you get more followers. But, whew, you already have a whopping 3461. Have a great day. Thank you for such a lovely giveaway. I am blogless but eamiled a few friends and my daughter! thanks again! I follow your blog with google reader.gfc. thanks! Wow! You are so generous to give away all this stuff. I'm already a follower. I don't have a blog but I do belong to my local scrapbook club and I will tell them all about your blog and giveaway. Wow! This is THE giveaway! I am a follower for a long time, I will post in my sidebar and I will definately cross my fingers. Wow! That is quite a giveaway! A lucky lady to win that! Thanks for the chance! oh my gosh! This prize is bigger than my craft room budget for 3 years!!! wowzers!!! Im off to link on my blog!! Um WOW! Girl you know how to do a giveaway! !I have followed you for a couple of years now-always love seeing your creations!Thanks for a chance to win! I will put a link on my blog. What an amazing giveaway! Someone is definately going to have a very Merry Christmas:)!! Posted on FB. thanks --fingers crossed!!! Wow, such nice giveaways, I really appreciate it! I have been a follower for a while! Oh My Goodness Melissa - I think you are going to be giving Santa a run for his money this year! What an amazingly generous giveaway! Thanks for the chance to win! I am a follower and i have posted it on my blog!!! I am spreading the word on my blog side bar and on FB!!! Thanks for the chance to win! What a great candy. Thank you for a chance to win. I have done a blog post about this and added it to my sidebar. Wow! You are so generous. Thank you so much for the chance to win such lovely prize. 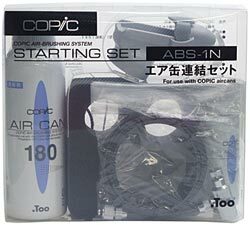 I would be happy just to win the copic air starter set...have wanted one of those for sooooo long. Maybe if I am good Santa will bring me one this year...Ooops...he already told me not this year. LOL...' Am off to post about your lovely give away in my side bar! man oh man, this is a fabby blog candy you are offering! my goal for 2012 is to use my copics more (or at all!!! )and to add to my collection. I vow to not be terrified of them anymore! grins! WOW! What an amazing candy Melissa! I've posted your giveaway in my sidebar and I've been a follower for a long long time. Thanks for the chance to win this very generous giveaway. Hugs! Melissa this is so exciting. Thank you for the chance to win. I can't believe how awesome this giveaway is. Posting to say I'm a follower thats keeping my fingers crossed. once again, thanks so much for this awesome giveaway. Wow Melissa the is so generous, I am crossing my fingers for sure!!!! I did a posting on my blog and it links to here, hope I did it right!!! I am a New Follower......Thanks for the chance to win Them!!! I posted a quickie on my blog & linked to your awesome blog :) Thanks again! WOW - that is amazing. Thanks for the chance to win. I follow you through my google reader account. I will also sign up for you email updates. Thanks! Happy Holidays. What a great giveaway. I posted on my blog about it. Melissa, this would be an incredible start to 2012! I am a follower and I will be linking to this on my blog tomorrow. Thanks. What an amazing gift! I am already a follower and am going to post this on my blog. Thanks for the chance! I am also a follower already, and keeping my fingers crossed!! Wow! More than happy to become a follower. I put it on my facebook http://www.facebook.com/#!/dhiossa. I will add to my next post at http://honeyhomeschoolhomestead.blogspot.com/ with a label for you to find. I am new to copics and blogging my crafts. WoW! Christmas in January! Would love to win, thanks for the chance. Wow great Giveaway!! I have posted your giveaway on right side bar. Im already a follower...Thanks for the chance to win. What an amazing giveaway - thanks for the chance to win it. I am a follower and I'll put this on my sidebar! What a great give away! I am a follower. Posted on my blog with a link back to yours. I've posted your candy on my blog with a link to your blog...many thanks. What a wonderfully generous giveaway! I've been a follower of your blog for a while and so enjoy your creations. Thanks for the chance to win! Wow, talk about a Christmas present! How extremely generous of you. 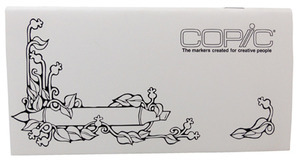 I'd love to win this...I've never played with Copics and this would be a great way to get started. I'm blogless, so i can't post it on my sidebar. However I do belong to some cardmaking groups, so I'll be telling all of them about your marvelous candy! I also a follower. I do enjoy your work, even if I don't always comment. Already a follower ... such a fine crafter you are, Melissa!!! And with a big generous heart! right at the top! whoooo! I found Your blog on one of my polish friend's blog and I must say I am very glad I did ! And it is not for Your wonderful giveaway (it is awesome ), but I like Your blog and i will stay to see some more interesting things You have to offer. Great giveaway! I have been a follower for sometime now. Keep up the good work your projects are great! I have added the blog candy to the side bar of my blog. Holy WOW! What an incredible giveaway! Your generosity astounds me! I posted your link and pics on my blog candy page. Thank you for an awesome chance. WOW!!! I have no words... This is such an amazing candy! Wow, this is more than generous!!! And some very lucky people are going to have one happy crafting Christmas suprise that's for sure! So happy to already be one of your followers!!! Thanks so much! What a generous give away. I am a new follower and I have put your information on my blog. Hope you have a very Merry Christmas and a Blessed New Year. Wow, what an amazing giveaway! I am following your blog now too! Oh my goodness Melissa !! what an AWESOME candy !! I will be visiting the US in January so the voucher would come in VERY handy !! :-) Love the other goodies too ,, you are so very generous !! Wow- what a great giveaway! Thanks for the chance and Happy Holidays! Am already a follower and subscriber and look forward to your ideas in my email box. Well I can't say it any better than everyone else... fantastic, wonderful, very generous, amazing... and I could go on and on. Your giveaway is mind boggling! Thanks for the chance to win. Great giveaway this will make a nice gift. I'm already a follower of your blog and look forward to it. i will email out the link. I don't have a blog of my own but I will certainly email all my crafting friends and tell them about yours! Love your blog,and look forward to your updates to my email.Thanks for the chance to win the giveaway.I don't have a blog so I will tell all my friends about your blog and giveaway. Wow, what a fabulous give-away. I'll be happy to place a link to it on my blog. Thanks for the op! Oh wow. This would be better than jewlry. I will share with my friends. Forwarding. Thanks for being so generous and making somebody extremely happy!! Have Blessed Christmas with family and friends! I also posted a pic on my sidebar. I crossed my fingers and also my toes!!!! Melissa... I just had to share this on my Facebook Page... *Ü*! Thank you for your very generous heart... *Ü*!! I'm keeping my fingers, toes, eyes, legs, arms, hair (braids), and anything else I can think of crossed... *Ü*! What a beautiful gift this would be... a dream come true... *Ü*!! I'm following you and tell all my friends to do the same... there's SO much inspiration here... *Ü*!! Melissa... I had to share your AMAZING giveaway on my Blog too... *Ü*!! It's just too good to keep to myself... *Ü*!! Thank you for this blessed opportunity!! What a fabulous giveaway. I would love it win. I already subscribe to your blog. I don't have a blog, but I do belong to some groups, and I will spread the word there. You are the most generous person I have ever known! I am definitely a follower and I have posted a link to your blog on my blog. Thank you for the chance to win such a fabulous prize package, it would definitely make my Christmas great! Wonderful giveaway!!! Your generosity is Superb!! !Thanks for the opportunity to enter. I'm a loyal follower of your blog!!! I am a follower! Great give away! 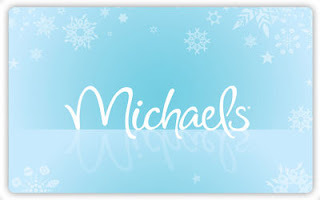 Hi there Melissa - WOW what a fantastic giveaway!!!!!! So VERY generous of you and sooooo exciting!! I do not have a blog but will post this on my Facebook page (facebook.com/sharonmarchbanks)and spread via word-of-mouth. I have lots of crafting friends, so we'll get the word out. Have a great day and Merry Christmas! Hugs, Sharon :o) PS: I've been subscribed for quite a while and have been inspired by your beautiful creations. Melissa... last but certainly not least... I wanted to share your AMAZING giveaway on my Twitter Page too... *Ü*!! Hip... Hip... Hooray... here's to an AWESOME giveaway... *Ü*!! I am a new follower! So excited to be here. Thanks for another chance to win your sweet giveaway! Hey Melissa - I posted about your giveaway on my blog! Thanks for the extra chance to win this yummy candy! Hugs! Ohhhh myyyy gossssh. You sure are generous. I don't have a blog but will tell all my knitting group friends about this opportunity. Thank you again and MERRY BLESSED CHRISTMAS!! Holy Toledo!! This is a marvelous giveaway!!! I am a follower - thanks! I am already a follower. I will be posting about your giveaway on my blog. Fabulous giveaway!!! That is very generous of you Melissa. And became a follower and look forward to seeing more on your blog... Glad I found you through someone posting about this giveaway... Great inspiration here!! Posted the picture and link on my blog. Thank you for such a fantastic New Year candy! I am your follower too...love all your stunning creations. WOW! FAB CANDY!! I have posted on my sidebar! Thanks for a chance to win! I am a new follower Cathyplus5 sent me here. my blog is ladiesandthestamp@blogspot.com and I also plan on letting people know on facebook since my blog is very new and I dont have a lot of followers yet. Merry Christmas and happy new year and thank you for the chance to win your awesome giveaway. Oh my gosh Melissa! What a give away someone will surely have a VERY special Christmas when they win this!! My fingers are crossed LOL!!!!!!! God bless you and have a Merry Christmas !!!! I am a follower!! Wow! What an awesome giveaway! How generous and sweet! Have a very Merry Christmas and a wonderful and Happy New Year! I don't have a blog, but I will email my crafting friends about your blog and this giveaway. I'm also a follower -- and I'm keeping my fingers crossed (although it's really hard to type or do much of anything with my fingers crossed -- and for such a long time, too)! LOL! My! What wonderful prizes you are offering for your giveaway! I am a new follower and I posted on my blog as well. I really admire your crafting style too! Thank you for the chance to win such a generous prize pack! Oh gosh would I have fun spending that Michael gift card!!! What a great giveaway! I am a happy follower of your! I want to thank you so much for hosting this giveaway!! I have posted in the following places!! Love your blog, I'm heading back over to catch up on some reading!! Thanks again!!! I have my fingers crossed!! I have never worked with Copics!! What this giveaway is phenomenal. Thank you for sharing a chance to win. and I have never tryed Copic and would love to. so thanks for the chance to win this very cool giveaway. Such a nice one! Thanks for the chance to win.